If Collin County District Attorney Greg Willis is stonewalling the criminal investigation of Attorney General Ken Paxton, this may explain why: Mr. Willis and Mr. Paxton are not just close friends, they’re business partners. And their partnership’s involvement in a shady real estate transaction may have cost Collin County taxpayers millions of dollars. After my last blog post, where I questioned the personal relationship between the DA and the AG, a tipster led me to a May 4, 2014 Dallas Morning News article about the murky business relationships of then-Senator Paxton. That article is disturbing enough in its own right, but it turns out the Morning News vastly understated the problem, apparently because the newspaper was misled by the Paxton campaign. According to the article, Mr. Willis and Mr. Paxton are among the 11 partners in Eldorado-Collin, L.P. Citing the Paxton campaign, the newspaper reported that the partnership bought 35 acres in Collin County in 2004 for about $700,000, then flipped a little less than half the property about eighteen months later for just over $1 million. The property was later used as the site of the Collin County Appraisal District building. By itself, the article raises serious questions about whether Mr. Willis, Mr. Paxton, and their associates were the beneficiaries of insider information. At the very least, it appears that they were trading on their political connections to make a fast buck. But instead of relying on the figures provided by the Paxton campaign, I decided to look at the actual transaction records. According to a special warranty deed on file in the county clerk’s office and dated December 3, 2004, Eldorado-Collin purchased the 35 acres with a $115,000 promisory note from North Dallas Bank and Trust. According to another special warranty deed in the county clerk’s records, the partnership sold 18 of those acres on June 30, 2006 for $7,335,000. If those records are correct, the disparity between the purchase price and the sales price is many times greater than what the Morning News reported. Even if one ignores the remaining 17 acres that the partnership retained after the 2006 sale, the sales price still represented a profit of more than 6,000 percent in less than two years. If you factor in the 17 acres and assume that each of the 35 acres was originally worth the same amount, that’s a profit of more than 13,000 percent in less than two years. This raises some serious questions. Did Mr. Willis, Mr. Paxton, and/or their partners have inside information that the county appraisal district was hoping to locate its headquarters on the property? Did taxpayers have to pay millions more for the appraisal district site because the partnership inserted itself into the transaction? What other elected officials in Collin County are part of the partnership? Do Mr. Willis and Mr. Paxton have other joint business interests besides Eldorado-Collin? The answer to that last question is “yes.” I learned from a Lexis search that Mr. Willis and Mr. Paxton are both owners of Unity Resources, LLC, a company based in Plano. In a May 1, 2014 franchise tax filing, Mr. Willis and Mr. Paxton are listed among the 19 co-owners of the company. Their names do not appear on the tax reports prior to 2014, so it appears that they both became owners in 2013 or 2014. My research has been pretty superficial thus far, but my sense of smell tells me that there are lot more financial connections where these came from. In a February 25, 2014 article, the Morning News reported that Mr. Paxton, along with three of his Republican colleagues in the Texas Legislature, had been burned by a Ponzi scheme based in Collin County. The May 4, 2014 article also noted that Mr. Paxton had business ties to numerous lawyers and elected officials in Collin County. So how many members of the legislature are business partners with Mr. Paxton? And what about another of Mr. Paxton’s close friends, Lt. 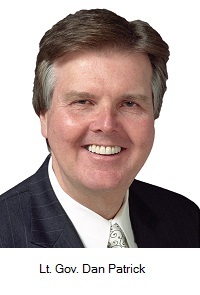 Governor Dan Patrick? 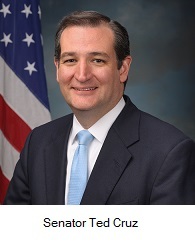 Or Senator Ted Cruz? Let’s not forget where this all started. 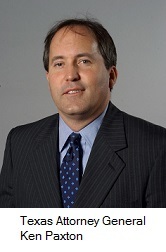 On May 2, 2014, Mr. Paxton signed an agreed order with Texas Securities Commissioner John Morgan admitting that he referred clients to his friend’s investment company even though he was not a registered securities representative (he also failed to disclose that he was getting a 30 percent kickback on investment management fees). As I wrote in my March 6, 2015 letter to the grand jury, I am surprised that Mr. Paxton’s attorney let him sign that document because, in my legal opinion, his notarized signature on the order is an admission that he committed a third-degree felony. The criminal investigation of Mr. Paxton began last year in Travis County, and the Travis DA’s office announced in January that it was forwarding the case to Dallas County and Collin County for lack of venue. Yet Mr. Willis refuses to say whether his office is going to present the case to a grand jury, and now I think we know that he is not going to present the case to a grand jury. After all, any investigation of Mr. Paxton’s shady business practices will likely lead to an investigation of Mr. Willis’s shady business practices. On Saturday I sent a letter to Mr. Willis explaining that he was violating the state bar’s conflict-of-interest rules by refusing to recuse himself from the Paxton case. On the same day, I electronically filed a grievance against Mr. Willis with the state bar, I sent another letter to the Collin County grand jury urging it to act, and I asked the FBI to open an independent investigation. If that doesn’t work, I still have other options. It is also worth noting that Greg Willis was appointed a county judge in 2005 and elected to the position in 2006 (i.e., right in the midst of the shady land transaction), then served until 2009, when he announced that he was running for DA. Many of his and Mr. Paxton’s business partners are attorneys, so I have to wonder whether any of his business partners appeared in his court without disclosing their financial relationship to their opposing parties (I’ve already seen that happen in Booger County). I must also wonder whether Mr. Willis and Mr. Paxton are business partners with any of the current judges in Collin County. Incidentally, Mr. Paxton is scheduled to speak at 1 p.m. today on the south steps of the capitol building. Likewise, Senator Cruz is planning to announce today at Liberty University in Virginia that he is running for President. What a wonderful opportunity for some enterprising journalists to show up and ask some inconvenient questions. Of course, even if the reporters start asking the questions, politicians and their support staff have been known to lie to journalists (e.g., when their campaigns misrepresent the sales figures for a suspicious real estate transaction). Mr. Willis and Mr. Paxton really need to be hauled before a grand jury and questioned under oath. Business ownership can be concealed via trusts, trustees, Nevada corporations, etc. (and Mr. Paxton has a history of omitting information from his public disclosure forms), but grand juries have subpoena power, and people who lie to grand juries can get indicted. I have questions about who in the Collin County Courthouse can be trusted, and those questions extend to the grand jurors. Texas is the only state that allow judges to control the selection of criminal grand jurors, and that’s a dubious distinction. Whereas a trial jury must be selected at random, judges in Texas have the option of appointing three to five commissioners to pick their grand jurors non-randomly. As it happens, both of Collin County’s current grand juries were hand picked. So do hand-picked grand juries fairly represent the makeup of the local community? To answer that question, consider the grand jury to whom my letters were addressed. [CORRECTION: An earlier version of this post incorrectly reported that Judge Angela Tucker’s pastor was the foreman of the grand jury. The foreman is a pastor, two of his associate pastors are members of the grand jury, and at least two more members of the church are also members of the grand jury, but Judge Tucker does not attend that church.] One of the grand jurors hosted a fundraiser for Greg Willis in her home in 2013, and the same grand juror donated $2,500 to the Paxton campaign. At least two more grand jurors have served on the executive committee of the Collin County Republican Party, and at least one of them supported the campaign of Mr. Willis. Meanwhile, the foreman and vice foreman of the Thursday grand jury were actively involved in Mr. Paxton’s campaign for attorney general. I am not publicizing the names of any of these grand jurors, because as far as I know they are all honorable people, and they have every right to support the candidates of their choice. But there are more than 850,000 people living in Collin County, and both grand juries seem to represent a pretty narrow segment of the population. In particular, the grand jurors have a lot more political and personal connections to the ruling class than do most citizens of the county. Ideally, all of the district judges in Collin County should recuse themselves from grand jury proceedings involving Mr. Willis or Mr. Paxton, a special prosecutor should be appointed, an outside judge should be assigned to preside over a special grand jury, and that special grand jury should be selected at random. (If I was the special prosecutor, I would ask for a couple of Rangers, a couple of FBI agents, and a long fire hose). As luck would have it, a Texas Senate committee approved a bill last week that would transfer the state’s public integrity prosecutors from the Travis County District Attorney’s Office to the Attorney General’s Office. Although I have supported similar legislation in the past, I am adamantly opposed to the current bill, which some of my counterparts on the left have aptly described as the “Government Corruption Protection Act.” It’s already too difficult to investigate and prosecute political corruption in Texas, and the latest bill only makes it more difficult. I can illustrate the shortcomings in our current system and the proposed system with two examples, one from my own practice and the other involving Mr. Willis and Mr. Paxton. As detailed on BoogerCountyMafia.com, I learned in 2009 that Robertson County District Attorney John Paschall had been stealing money from the estate of Marium Oscar, the last survivor of the Jewish community in Calvert, Texas. Paschall was not going to investigate or prosecute himself, so ostensibly I should have been able to call in the Texas Rangers. The Department of Public Safety, however, has a policy that prohibits the Rangers from investigating a public official unless the local district attorney agrees to prosecute the case that they bring. In other words, Paschall would have had to agree to prosecute himself. The attorney general, meanwhile, generally cannot prosecute criminal cases unless invited to do so by the local district attorney. Again, Paschall would had to have consented to his own prosecution. As an alternative, I could have contacted the grand jurors directly (and I did), but District Judge Robert M. Stem was a Paschall crony, and he hand-picked his grand jurors. At one point, Judge Stem appointed the sister-in-law of one of Paschall’s attorneys as the grand jury forewoman. Ultimately, the stalemate was broken when Paschall lost re-election in 2012. Because Paschall was no longer a public official, the Rangers opened an investigation. A special prosecutor was later appointed, a visiting judge convened a special grand jury (selected at random), and Paschall was finally indicted on January 15, 2015. Obviously, there are already too many barriers to prosecuting public corruption cases in Texas, but the new legislation would make thing worse. As I understand the proposed system, my complaint about Mr. Paxton and Mr. Willis would first be referred to the attorney general’s office, i.e., to Mr. Paxton. If the attorney general’s office thought an investigation was warranted, they would refer the case to the Rangers for investigation. If the Rangers thought prosecution was warranted, they would refer the case to Mr. Willis, where Mr. Willis would have the final say about whether to prosecute himself and/or Mr. Paxton. Thus the new proposal just adds more barriers to prosecution, and it creates more opportunities for public corruption cases to fall through the cracks. Here are some better ideas: modernize and expand the Texas Rangers, require random selection of grand jurors, give the grand jury greater independence, and create more checks and balances for prosecutors (see Proposals 2, 3, 7 and 8 on this list of proposed reforms). Most states give concurrent jurisdiction to attorneys general and district attorneys, thus if one refuses to prosecute, the other can take over the case. That wouldn’t help things in Collin County right now, but it certainly would have helped in Robertson County. Several legislators have said they will note vote for legislation that gives the attorney general concurrent jurisdiction with DAs because such legislation is unconstitutional, but that is a lame excuse. We’re talking about the Texas Constitution here, not the U.S. Constitution, and the Texas Constitution gets amended like babies get their diapers changed. If legislators wanted the AG to have concurrent jurisdiction with DAs, it would be easy to propose and pass a constitutional amendment. I’ve only been in Collin County for a couple of years, but I’ve been amazed at how sleazy and backwards its politics can be. The county is home to some of the wealthiest and fastest-growing suburbs in the country and the population is highly educated, yet its elected officials remind me somewhat of those in Booger County (since I’ve already launched BoogerCountyMafia.com, maybe I need to launch CollinCountyMafia.com). Ken Paxton is obviously one of the kingpins in the Collin County Mafia, and the more I learn about him the stranger he seems. Consider the November 17, 2014 article in the Dallas Morning News about how Paxton took another lawyer’s $1,000 pen from a basket in the security checkpoint at the courthouse, then held onto it until he was contacted by law enforcement. Stranger still, I can’t tell you what his real name is. In some places, such as the agreed order with the securities commissioner, he is named “Kenneth Warren Paxton, Jr.” In other places, such as his official state bar records, he is named “Warren Kenneth Paxton, Jr.” What gives? And his relationship with Mr. Willis goes back much earlier than I realized. It appears that they were in student government together at Baylor University during the mid-80s, then they were classmates at the University of Virginia Law School from 1988 to 1991. I previously reported that Mr. Paxton emceed the 2009 courthouse ceremony for Mr. Willis’s announcement that he was running for district attorney, and I’ve since learned that Mr. Willis returned the favor by emceeing Mr. Paxton’s 2013 announcement ceremony. In other words, these guys are joined at the hip, which means Mr. Willis should have recused himself from the Paxton case on day one.